I’m a big fan of dancing games. Last year, I played Dance Central for 12 hours straight. 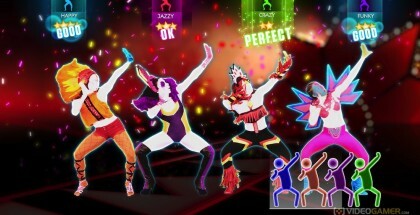 Whilst there’s no Dance Central game to occupy me this year, fortunately Just Dance 2014 has come to save the day with some deliciously poppy music. The full tracklist has just been announced, and it’s incredible. We’re talking Lady Gaga’s Applause. Abba’s Gimme! Gimme! Gimme!. And just about everything in between, ranging from Ke$ha and will.i.am to Village People and Gloria Gaynor. Check out the full tracklist below, watch the trailer above, and get very excited for the game’s launch on October 4. · Moskau – Dancing Bros.
· Ghostbusters – Ray Parker Jr.